Flat Design Landscape. Island in Ocean. Stock Illustration: Flat Design Landscape. Island in Ocean. Flat Design Landscape. Island in Ocean. 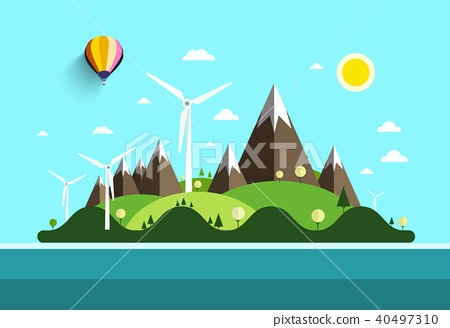 Vector Nature Scene with Hills and Mountains with Windmills.